Axis and Allied living historians encamp on the grounds, portraying field life in the European Theater of Operations, 1944-45. A short history of the war begins at 12:45 p.m., immediately followed by a tactical demonstration against German opposition. Join us for some cool World War II & beyond entertainment with the "Andrews Sisters" on Saturday @ 2:30 p.m. and the New Jersey Shore sensation Joey Vincent on Sunday @ 2:30 p.m.
DATE/TIME: May 27th & 28th, 2017. Bivouac open to the public 10:00 a.m. - 4:00 p.m. Museum open 10:00 a.m. - 5:00 p.m Saturday, 12:00 p.m. - 5:00 p.m. Sunday. The museum will be open on Memorial Day, 10:00 a.m. to 5:00 p.m. Join us for a guided tour in the museum at 11:00 a.m. and 1 p.m., and enjoy the Regional Antique Automobile Club of America's annual summer season kickoff event featuring many pre-war through modern classics on display throughout the grounds of the Pennsylvania Military Museum. $5.00 for on-site parking. EXPLORING THE ARMOR TOUR - LAST CHANCE TO RESERVE YOUR SPOT! Take a private history tour of the outside tracked vehicles, including a look inside the crew compartments. Tour begins in the museum theatre. Seating is limited - reservations required. The tour typically lasts two hours. 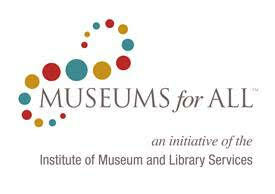 Admission: $15.00, or $5.00 for museum members. E-mail pmmfriendsbusmgr@gmail.com for reservations. DATE/TIME: June 3rd, 2017. Tour begins at 2:00 p.m. in the museum theatre. Receive a personal guided tour for the regular admission price on Saturdays & Sundays at 1:00 p.m. throughout the month of June. Join us for an afternoon of military history!